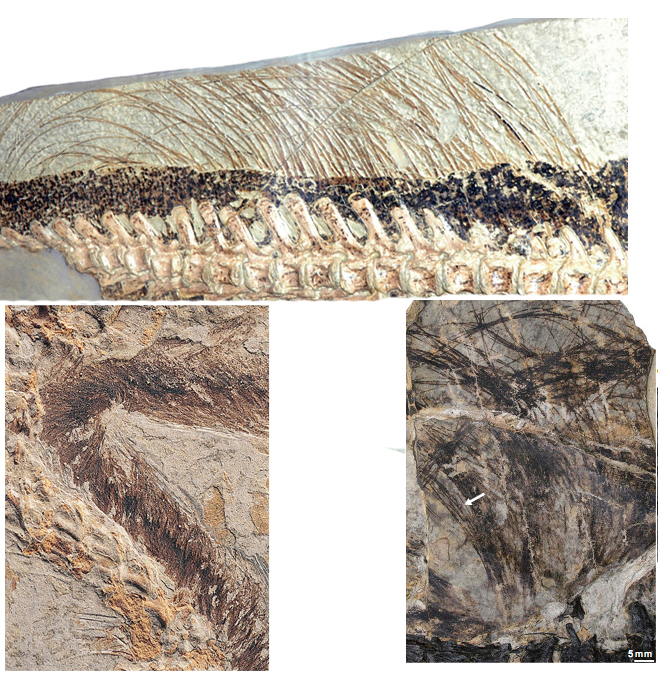 GEOL 104 Neornithischia II: Marginocephalia: That's Using Your Head! 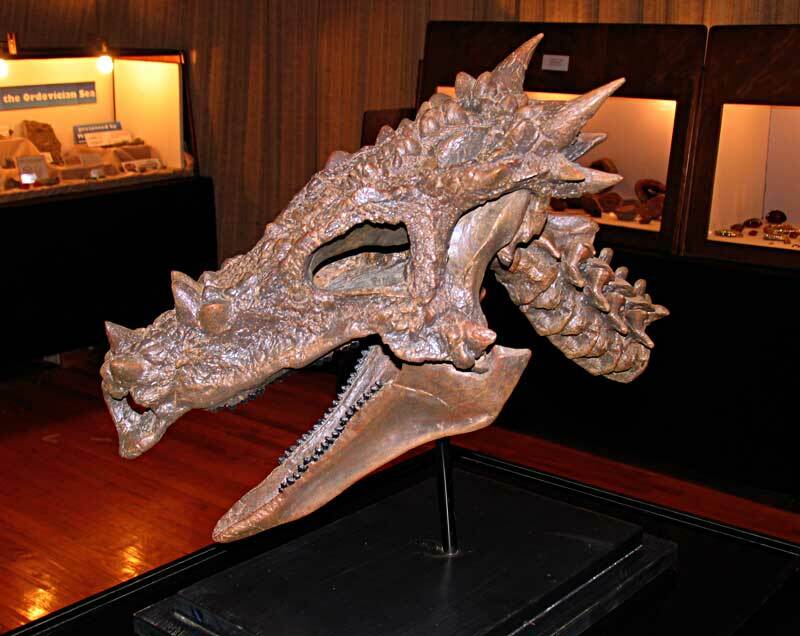 Neornithischia II: Marginocephalia: That's Using Your Head! •Pachycephalosaurs are currently only known from the Late Cretaceous of Asia and North America. They were obligate herbivores, and recognized by a thickening of the skull roof (possibly for combat between individuals) and spike ornaments along the edge of the skull. •Ceratopsians first appear in the earliest Late Jurassic and make it to the end of the Cretaceous. They all share a rostral bone: a single bone anterior to the paired premaxillae. •Primitive ceratopsians were facultative bipeds. These include the Chaoyangsauridae and Psittacosauridae. 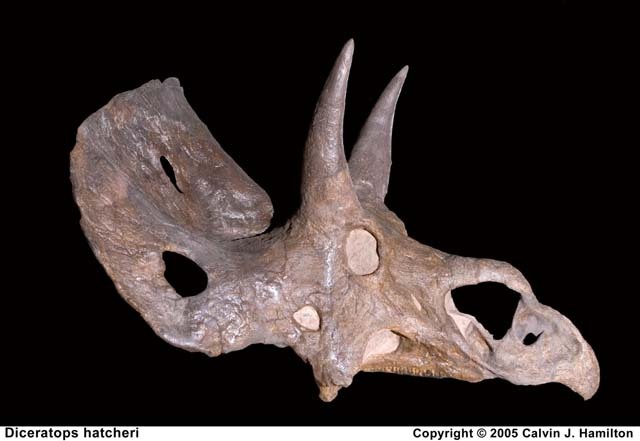 The more derived Neoceratopsia is characterized by a frill at the back of the head. •A series of basal neoceratopsian forms lie outside the large, derived, speciose Ceratopsidae. Ceratopsids (as well as some of their immediate outgroups) were obligate quadrupeds. 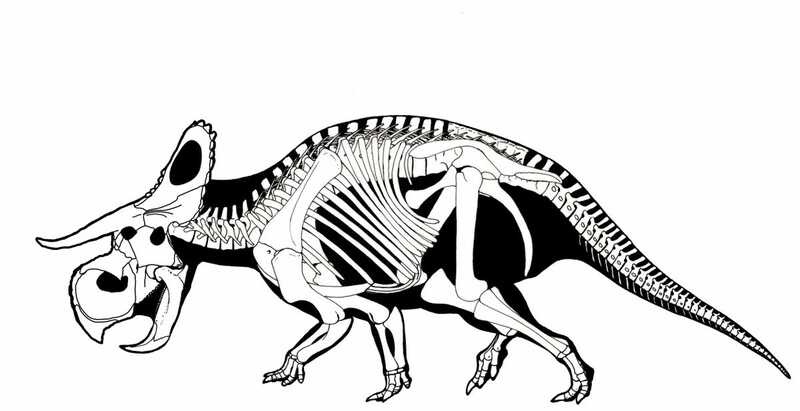 Ceratopsidae is characterized by a shearing dental battery, the presence of horns on the postorbitals and snout, and a series of small bones along the edge of the frill. •Ceratopsids are limited to the the end of the Cretaceous and (with a few exceptions) to western North America. It is divided into two clades: Chasmosaurinae and Centrosaurinae. In both clades there is evidence for herd living. 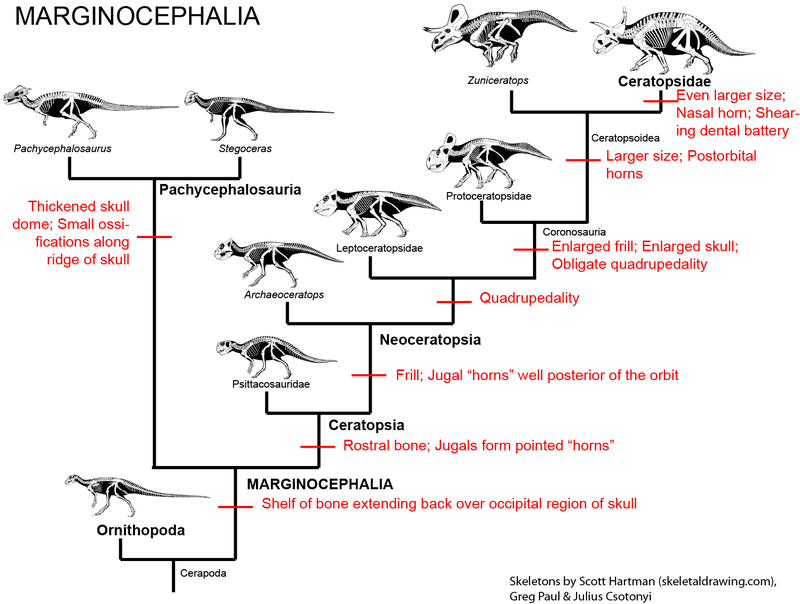 The third major clade of ornithischians (after Thyreophora and Ornithopoda) is Marginocephalia ("ridged heads"). Like ornithopods (and thescelosaurids), marginocephalians are neornithischians; collectively, Ornithopoda and Marginocephalia make the clade Cerapoda. 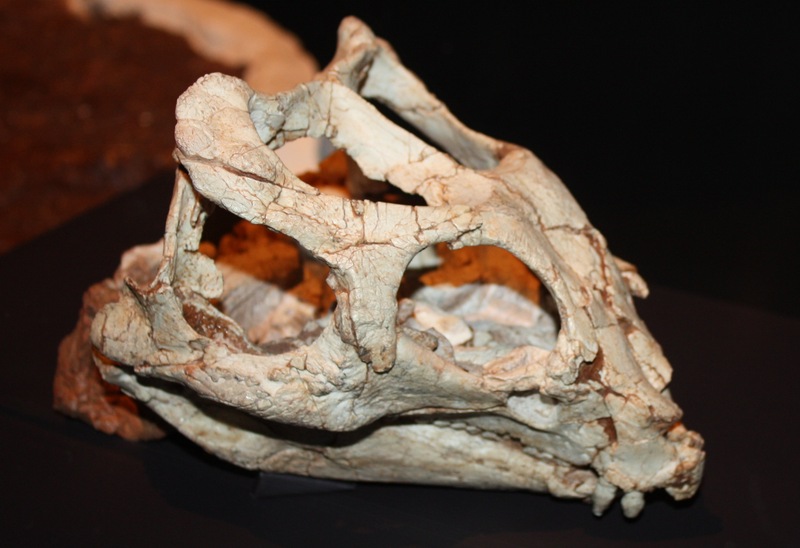 There are two main clades of marginocephalians: thick-skulled Pachycephalosauria ("thick headed lizards") and beaked (and later frilled (and eventually horned)) Ceratopsia ("horned faces"). 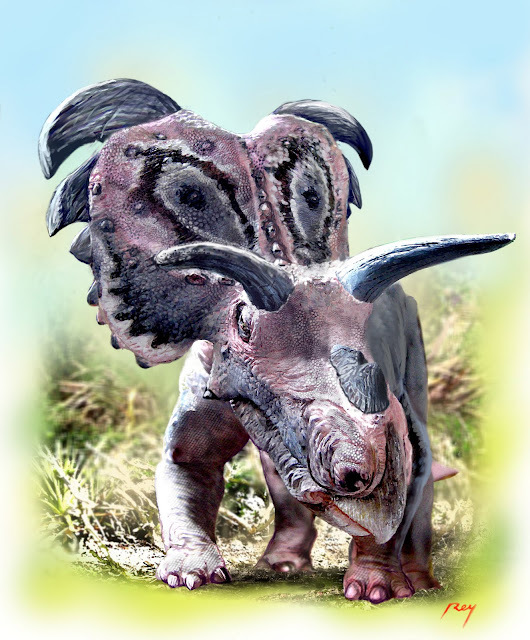 The bipedal pachycephalosaurs and psittacosaurid ceratopsians were once included in Ornithopoda, but are now recognized as closer to the horned dinosaurs (Ceratopsidae) and their more primitive frilled-but-hornless relatives (the rest of Neoceratopsia). In the pachycephalosaurid pachycephalosaurs and the ceratopsid ceratopsians there is the shared attribute of extensive bone growth and remodeling of the skull at the fully adult stage: however, this trait is not seen in basal ceratopsians, so it is likely convergently evolved between these two clades. At present there are no dinosaurs known which are closer to marginocephalians than to the ornithopods, but we can infer that such proto-marginocephalians did exist. When Heterodontosauridae was thought to be a clade of ornithopods, there was the mystery of the missing Late Triassic, Jurassic, and early Early Cretaceous marginocephalians. Now that the oldest known ornithopods are only Middle Jurassic, and we now have Middle-Late Jurassic marginocephalian fossils, there is no big gap in time. as well as a few postcranial features. Pachycephalosaurs were persistenly bipedal (the only major group of herbivorous dinosaur with no trend towards quadrupedality). Their hands and arms were relatively small, so they probably didn't use them for terribly much. 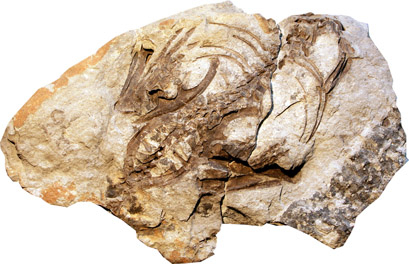 Stenopelix of the Early Cretaceous of Germany is often considered to be a basal member of Pachycephalosauria based on some limb and pelvic characters. 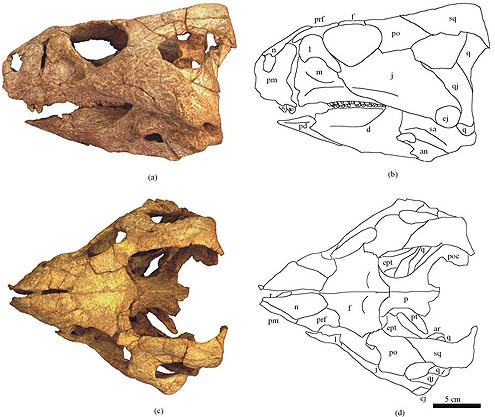 Its skull is unknown, so we cannot determine if it had evolved the thickened skull roof of later pachycephalosaurs. Interestingly, it is the only currently known Early Cretaceous pachycephalosaur, and the only member of the clade from outside Asia or western North America. 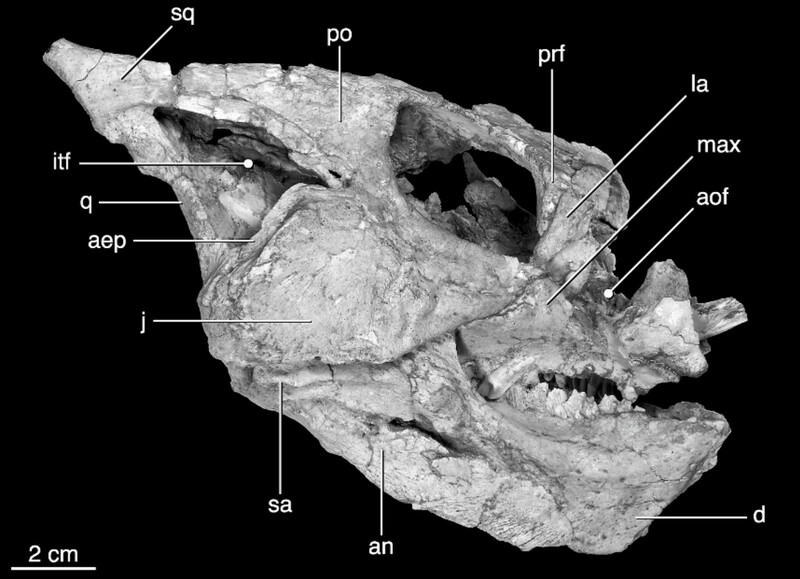 Of note, however, is a recent study that finds it not to be a pachycephalosaur, but instead a basal ceratopsian (sister taxon to Yinlong): if this is upheld with additional analyses, this would remove the only non-Asiamerican, non-Late Cretaceous pachycephalosaur from the record. The more specialized Pachycephalosauridae are characterized by a tall thickened dome formed by the frontals and parietals. Paleontologists have debated whether these dinosaurs butted heads together in the manner of modern bighorn sheep, or if the domes may have been more for visual display. There does seem to be some sexual dimorphism in the size and development of the dome. It was once thought that flat-topped specimens (such as those called "Homalocephale" of Mongolia) were primitive pachycephalosaurs. However, recent work strongly suggests that these are simply subadults which had not grown their adult dome. (The Homalocephale specimens seem to be juvenile Prenocephale.) 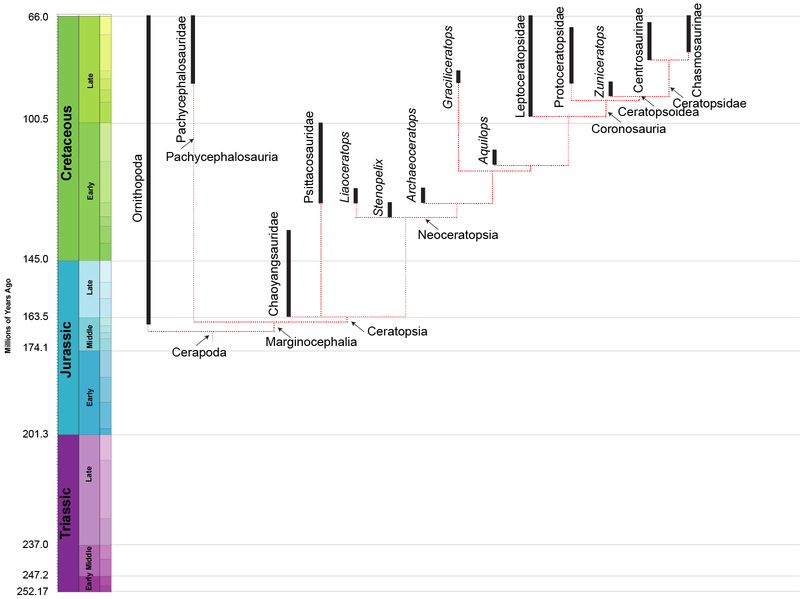 Recent work suggests that the is a clade of primarily Asian forms (including Prenocephale, Tylocephale, and Goyocephale), nested among a radiation of mostly North American taxa (such as Stegoceras, Gravitholus, Sphaerotholus, and the like). There is a clade (or species!) of latest Cretaceous (68-65.6 Ma) western North American large bodied (4-5 m, and thus bigger than humans) long-snouted spike-fringed and spike-nosed forms: Stygimoloch, Pachycephalosaurus, and Dracorex (which is quite like just a subadult of one or the other of the previous two.) In fact, these three may just represent juvenile ("Dracorex"), subadult ("Stygimoloch"), and adults (Pachycephalosaurus: this name has priority) of the same species. The latest work, however, indicates that the short-spined Pachycephlaosaurus specimens are all stratigraphically older than the long-spined Stygimoloch ones, so these may be distinct taxa. While material of the pachycephalosaurs are rather limited, the ceratopsian fossil record is very good. The last decade has seen an explosion of discoveries in primitive ceratopsians, extending the stratigraphic range of this group and giving us a more complete picture of the transformations from a basal neornithischian to the derived Ceratopsidae. The oldest and most primitive known ceratopsian is Yinlong from the early Late Jurassic of China. Its skull shows the large size of the temporal (jaw muscle) region, indicating that this dinosaur had begun to evolve the powerful bite that characterizes ceratopsians. Other early forms are Late Jurassic Chinese Chaoyangsaurus and Xuanhuaceratops. The next oldest ceratopsians are the Psittacosauridae ("parrot lizards") of Early Cretaceous Asia. These are actually some of the most common dinosaur fossils of Early Cretaceous Asia: in particular, the several species of Psittacosaurus. These include Psittacosaurus babies found together (but the specimen was artificially modified to put an adult with them! ), and many complete skeletons including one with scales and apparently some form of hollow quills sticking out of its tails. Some have considered the psittacosaurids to be facultative quadrupeds, but a recent study showed that their hands could not be placed in a position to support weight. Thus, they retained the ancestral bipedal condition. However, that is true of the ADULTS; recent work shows that hatchlings were quadrupedal, but becoming bipedal as juveniles and adults (not unlike certain common modern intelligent primates...). The remaining ceratopsians form the clade Neoceratopsia. This group is further modified from the ceratopsian condition by the presence of a frill: itself just an elaboration of the ridge of typical marginocephalians. In earlier forms the frill is short, and its expansion was probably primarily for increased muscle attachment of the supratemporal muscles. 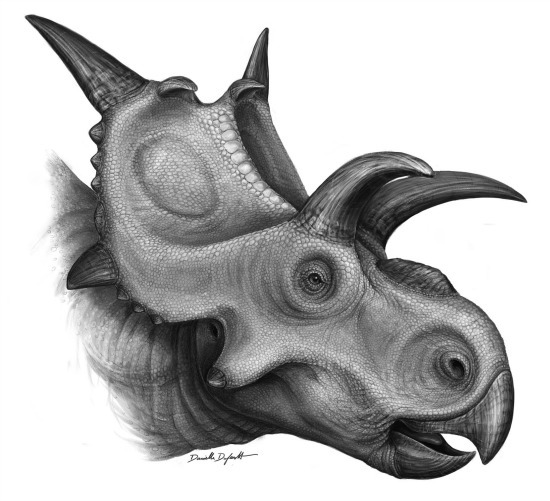 Another neoceratopsian trait is that the jugal "horns" point well posteriorly of the orbit. 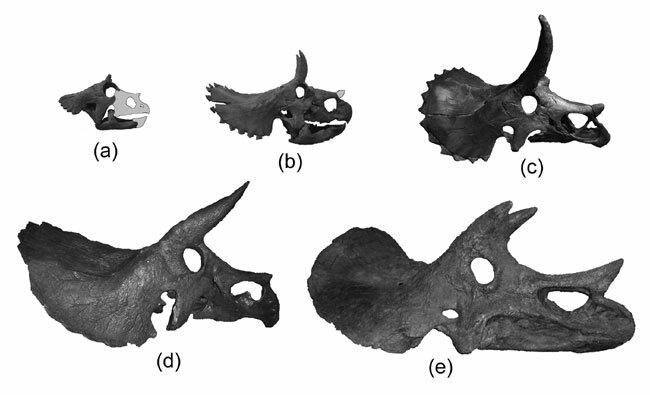 A number of primitive Asian Early Cretaceous neoceratopsians have recently been described: Liaoceratops, Archaeoceratops, Auroraceratops, and Yamaceratops. In addition to the Asian taxa, there is the recently discovered Aquilops of the American West. These forms were still bipedal. The Late Cretaceous neoceratopsians, however, seem to have been quadrupedal because of increasing relative skull size. Additionally, these dinosaurs have lower jaws in which rotation of the dentaries is prevented and motion of the lower jaw is up-and-down and backwards. Among the Late Cretaceous groups is transcontinental (Asia and North America) Leptoceratopsidae, including North American Prenoceratops, Montanoceratops, and Leptoceratops, and Asian Udanoceratops. 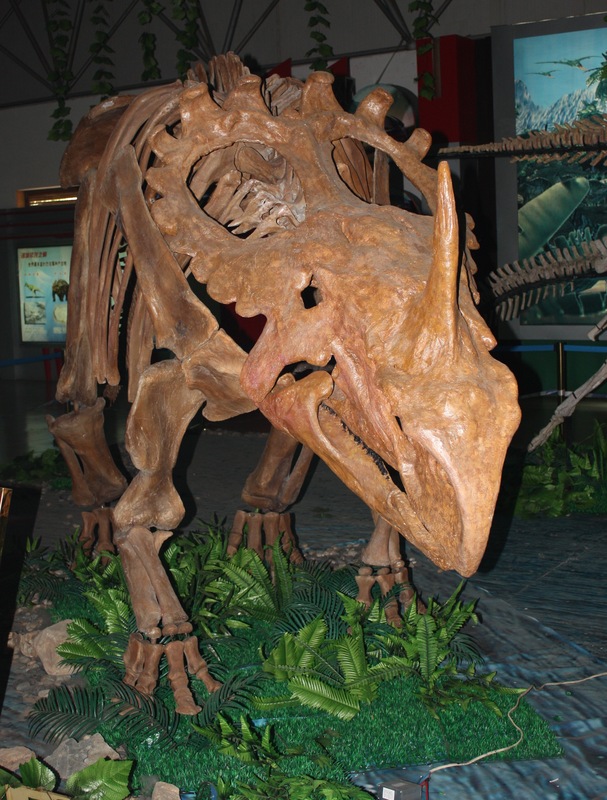 Another is the transcontinental (Asia and European) Protoceratopsidae, including Mongolian Protoceratops (literally hundreds of skeletons (including hatchlings and embryos), eggs, and nests are known from this Mongolian dinosaur) and Bagaceratops, Chinese Magnirostris, and Hungarian Ajkaceratops. Collectively, Protoceratopsidae + Ceratopsoidea form the clade Coronosauria. Coronosaurs have an enlarged frill and enlarged skull, and consequently were obligate quadrupeds. The frill is enlarged but not thickened, so most of the expansion was not for muscle attachment. It may have served for visual display. The remaining coronosaurs are the Ceratopsoidea. More primitive ceratopsians were generally small: 1-3 m, and no heavier than a sheep or pig at most (Udanoceratops being an exception). The ceratopsoids were all larger: cow-to-elephant sized. Ceratopsoids had postorbital horns sticking from the eyebrow over the eyes. Cow-sized Zuniceratops of western North America and Asian Turanoceratops and Asiaceratops represent primitive ceratopsoids. The remaining forms are the Ceratopsidae proper. The horns of ceratopsoids may have had both a defensive function (against predators) and a display function against other ceratopsids. These displays may have been species recognition, sexual, or dominance displays; and could have been merely visual or may have involved direct combat. True Ceratopsidae is the most speciose and specialized branch of Marginocephalia. This clade is restricted to the last twenty million years or so of the Late Cretaceous. (Maybe. Turanoceratops from about 92 Ma of Uzbekistan may be a true ceratopsid.) Up until 2009 it seemed clear that all members of Ceratopsidae proper were from western North America, but (questionably) Turanoceratops and (unquestionably) the centrosaurine Sinoceratops document the presence of this clade in Asia. Additionally, teeth of ceratopsids have been described from the end of the Cretaceous in eastern North America. Yet in that restricted time and space they underwent a major radiation. We have complete skeletons of several species; complete skulls of even more; growth series; skin impressions; and trackways. Ceratopsids include some definite herd dwellers. Ceratopsids are rivalled (and in some formations exceed) only by hadrosaurids in their abundance in the Late Cretaceous of western North America. 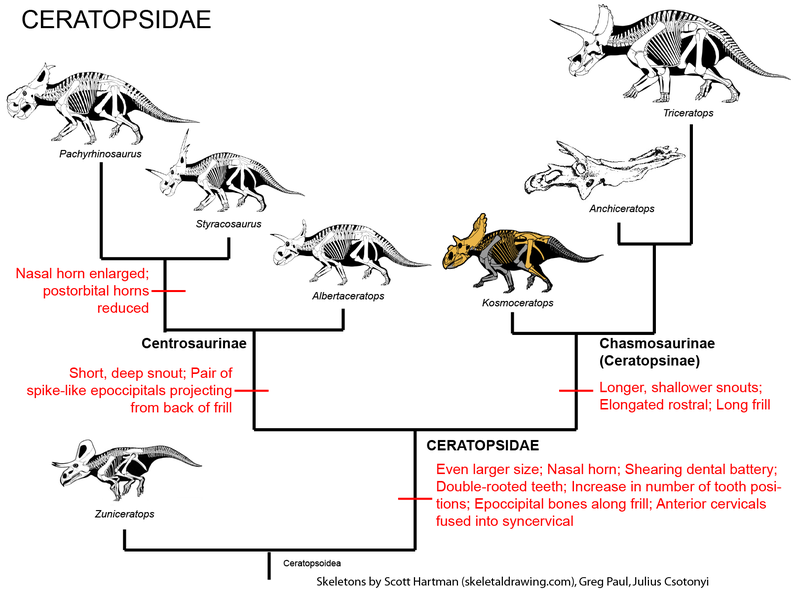 There were two major subclades of Ceratopsidae: Centrosaurinae and Chasmosaurinae (The latter group is sometimes called "Ceratopsinae" to some paleontologists. 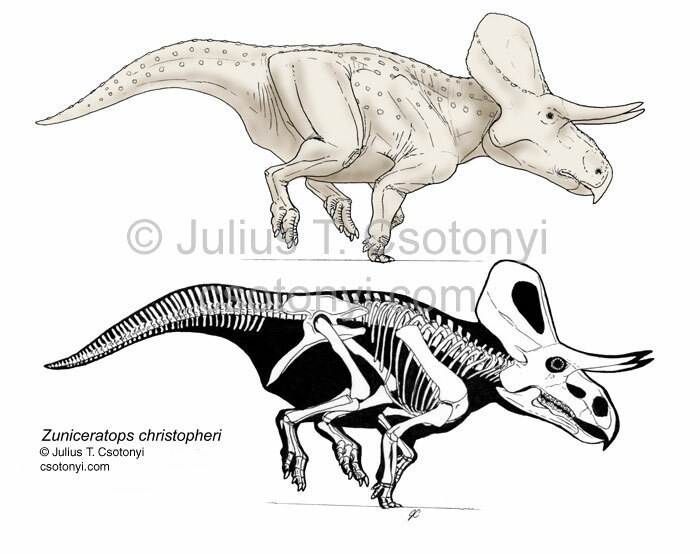 However, it is no longer certain that the fragmentary Ceratops is definitely closer to the chasmosaurines than the centrosaurines, so in this course we will use "Chasmosaurinae".). 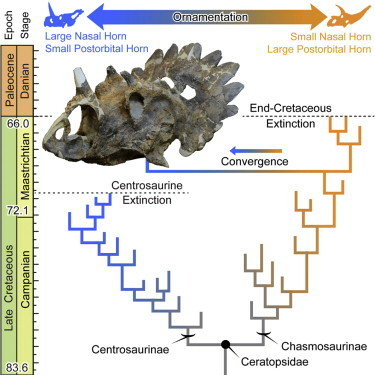 It was once easy to distinguish these two groups based on their horn patterns: in centrosaurines the nasal horn was large and the postorbitals reduced or lost; in chamsosaurines the nasal horn was small and the postorbital horns were (with one or two exceptions) long. 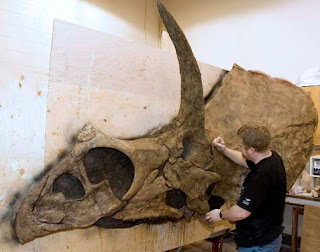 Unfortunately, the discovery of Zuniceratops and the basal centrosaurines such as Xenoceratops, Albertaceratops and Diabloceratops (and several others) have muddled that. 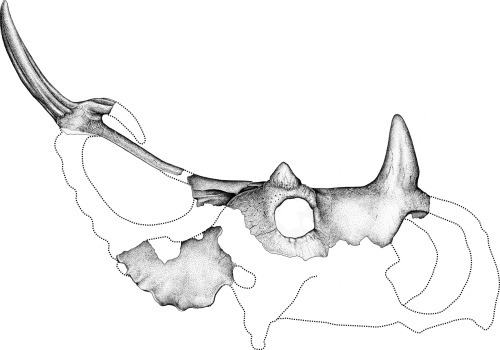 Under our current understanding, long postorbital horns are characteristic for Ceratopsoidea as a whole, so the fact that Chasmosaurinae retain them is simply a primitive feature. Avaceratops, Nasutoceratops, Xenoceratops, Diabloceratops, Wendiceratops, and Albertaceratops are among the most primitive centrosaurines. Additional forms include the closely related Centrosaurus, Spinops, and Coronoceratops plus sword-horned Rubeosaurus and spike-frilled Styracosaurus, all of which share apowerful nasal horn; the aforementioned Asian centrosaurine Sinoceratops and its North American relative Xenoceratops; hook-horned Einiosaurus; and a great radiation of lump-nosed species (the Pachyrostra), including the genera Achelousaurus; and several species of Pachyrhinosaurus, last and largest centrosaurine. Chasmosaurinae includes the newly described basal form Medusaceratops (found in the same bonebed as the centrosaurine Albertaceratops); the various species of Chasmosaurus; Agujaceratops and its newly (2010) described relative Mojoceratops; Pentaceratops; Anchiceratops, Arrhinoceratops, and their enormously-horned Mexican relative Coahuilaceratops; Regaliceratops (convergent on the centrosaurines in its snout shape and elongated nasal horn); and the latest Cretaceous giants Titanoceratops, Ojoceratops, Eotriceratops, Torosaurus, Triceratops, Nedoceratops (formerly "Diceratops"), and little Tatankaceratops.Some authors consider all of these separate taxa, with the older Titanoceratops, Ojoceratops, and Eotriceratops close to the ancestry of the others. Alternatively, "Tatankaceratops" and "Nedoceratops" may be the juvenile and subadult (respectively) of Triceratops and/or Torosaurus. Furthermore, it has been proposed that "Torosaurus" itself may simply be the fully adult form of Triceratops, so it may be that instead of four genera (Tatankaceratops, Nedoceratops, Triceratops, Torosaurus) in the latest Cretaceous of western North America, there was simply Triceratops. Ceratopsids were a major component of the large bodied herbivore fauna in western North America (and probably the wetter parts of Asia) until the very end of the Cretaceous. Pachycephalosaurs, basal ceratopsians, and basal neoceratopsians were bipedal; increased skull size forced advanced neoceratopsians onto all fours, such that coronosaurs were obligate quadrupeds. Most pachycephalosaurs, basal ceratopsians, and basal neoceratopsians were small (all in the 1-3 m range, smaller than humans); increased size in pachycephalosaurs only occurs at the very end of the Late Cretaceous. 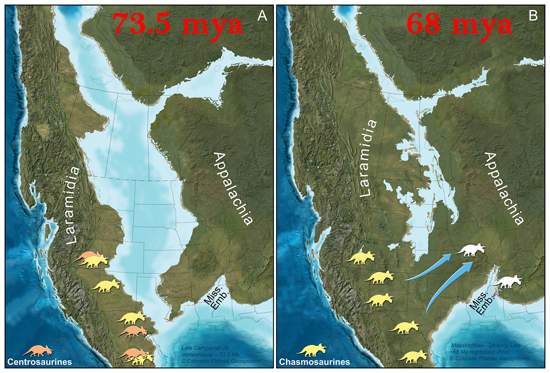 Advanced neoceratopsians show an increase earlier, culminating in the major size increases at the base of Ceratopsoidea, at the base of Ceratopsidae, and independantly in Centrosaurinae and Chasmosaurinae. For most of its history, Ceratopsia consisted of only small dinosaurs. Both pachycephalosaurs and ceratopsians seem to have used their heads in within-species interactions. In particular, visual display structures (marginal osteoderms, domes, frills, horns, etc.) and possible combat features (thickened skulls, horns) are present in both clades, and some of these only appear at fully adult sizes. We'll examine these more in the third section of the course.